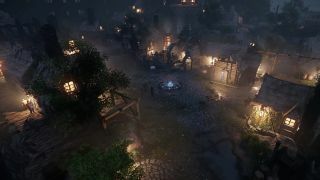 The action-RPG Umbra looked pretty decent when we laid eyes on it last year, and it made enough of an impression to almost double its $225,000 Kickstarter goal. But much has changed since then. The title, for one thing, which is now Wolcen: Lords of Mayhem, and the name of the studio making it: formerly Solarfall Games, now Wolcen Studio. And on March 24, it will go live on Steam Early Access. The Early Access release will contain the “basics” of the game, with large areas of the world open to explore, classless character advancement, and elemental magic effects. It will continue to evolve over the Early Access period (which of course is the whole point of Early Access), beginning with the addition of Apocalyptic Form, a “core combat mechanic” expected to arrive shortly after launch that enables players to “evolve their special abilities and appearance” to match their style of play. Personally, I'd expect more than a new haircut and a nice change of clothes from something called “Apocalyptic Form,” but maybe there's more to it than it sounds.